Cloud Computing is the latest rage in the world of technology. It has vast potential that can be tapped to the advantage of mankind. But there are some challenges which need to be resolved in order to fully utilise its potential. One of these challenges is trust evaluation. Since services are provided by service providers to clients, there has to be some notion of trust between them. 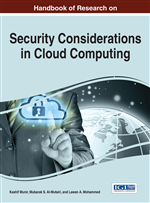 This chapter first provides the basic introduction to cloud computing and fuzzy logic. On the basis of extensive literature survey, this chapter discusses trust and its need, in addition to use of fuzzy logic for the purpose of trust calculation in distributed environments and cloud computing till now. Trust calculation using fuzzy logic has been explained through the use of various models. At the end, the difficulties and applications of using fuzzy logic for trust evaluation are discussed along with research directions for future. Cloud Computing is emerging as a promising way to change the perception of technology as we have today. Zhang et al. (2010) have defined cloud computing as “a model for enabling convenient, on-demand network access to a shared pool of configurable computing resources that can be rapidly provisioned and released with minimal management effort or service provider interaction.” It is based on the premise of “why buy when you can rent”. In simple words, it provides the consumers or users with an opportunity to use the resources provided by another party on pay-per-use basis. That is, users don’t need to buy or install the hardware or software at their end. Instead they can use the services installed by another party and pay them as per their use. This results in reduction in the costs incurred by the users. While this arrangement has many benefits, it also has some drawbacks. One major question that arises is – which Cloud Service Provider (CSP) should a user choose? Or framed in another way – which Cloud Service Provider should a user trust? To describe the issue of trust evaluation in cloud computing. To understand the basics and importance of fuzzy logic. To describe various approaches for calculation of trust using fuzzy logic. To highlight latest happenings particularly in cloud computing. To identify the opportunities and challenges. To identify new research directions. Reputation: In the context of computing, reputation refers to the public image or opinion regarding the abilities of an entity. Trust: Trust between any two parties can be defined as the faith or belief that one party has on the credibility of the other party. Multi-Agent Systems: These systems consist of a number of intelligent agents that interact and cooperate with each other in an environment. These agents are autonomous to a certain degree and work together to solve a particular problem. Fuzzy Logic: It is a type of logic which deals with incomplete, vague and imprecise information. It uses degrees of truth rather than the precise values of 0 or 1 to arrive at a conclusion. P2P Systems: P2P stands for Peer-to-Peer systems. Such systems consist of multiple entities with each entity possessing the same capabilities. The system allows each entity to act as a client as well as a server. Cloud Computing: Cloud Computing refers to a pool of shared resources which can be accessed by a number of people across the globe through Internet.